NICHIRYO is a Japanese manufacturer of liquid handling devices and related consumables. 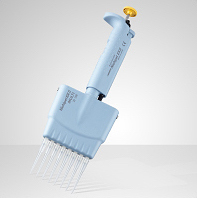 These can be operated by hand or with the help of an automatic pipette controller unit also provided by NICHIRYO. 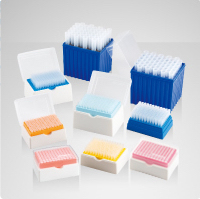 The company’s flagship products are the micropipettes series Nichipet Premium and Nichipet EX. 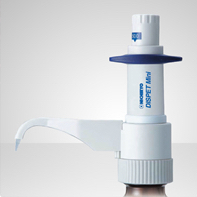 Besides, multi-channel pipettes, hand dispensers and bottle dispensers also belong to their product range. Their products offer a variety of functions and specifications, some of which are worth noting here. The Easy-Calibration function, for example, simplifies the calibration process in the laboratory. The UV-resistance allows for an application under UV-radiation (e.g. during clean bench work). Moreover, in response to their customers’ requests, chemically resistant versions against acids, lyes, organic and inorganic solvents are being offered. The use of durable housing materials and low-wear internal components provides autoclavability and durability in the long run. For more than 40 years, their products have been distributed to over 80 countries through exportation and in cooperation with OEM-partners. Their U.S.-subsidiary covers the North and Central American markets, while the rest of the world is supplied through direct exportation from Japan. At MEDICA 2018, NICHIRYO would like to put one step forward to extend their business outside of the current position and seek further brand recognition. Hence their priority in this event is to establish mutually beneficial relationships with new sales partners. At the same time, they aim at getting into contact with potential end users like universities, research institutions as well as private companies in the food safety, biotechnology and pharmaceutical sector. For next year, the roll-out for a new product line is being planned. The experience and feedback from the trade fair participation will have an influence on these plans. Visit NICHIRYO in Hall 3, stand E93 at the MEDICA booth of Saitama City Foundation for Business Creation in Düsseldorf!